After a year’s long waiting, the sixth season of Game of Thrones finally arrived. We’re sure fanatics of the show can’t wait to visit the shooting locations and experience the magnificent scenes. To present all the scenes in the novel, the crew has traveled around the world to find the best locations. If you don’t have time to visit all of them, why not start with your favorite house? Located in North Ireland, Castle Ward is a mansion built in the 18th century. The popularity of the show has made it a local landmark. Besides Winterfell, it is also the shooting site of Whispering Wood, campsite of Robb Stark and where Brienne and the Starks confronted each other. You are allowed to put on the costumes and walk onto the shooting site to experience the feeling of being a member of House Stark. Tollymore Forest Park made its first appearance in season one as the setting of the Haunted Forest. You can walk along the Shimna River, enjoy the view of the giant redwood and pine trees on both sides and have an adventure in the caves. The park owns the oldest tree in Ireland – a spruce originated in 1750. It’s like the heart wood of Tollymore Forest Park, guarding the park and watching its rise and decline. You can find relaxation by walking down the path by the river, camping in the forest or riding a horse through the park. The Dark Hedges in Belfast is the setting of Kingsroad. George R.R. Martin’s description of Kingsroad leaves a deep impression to the readers. It’s hard to believe the road to Kind’s Landing is so beautiful in reality. Arya must have lingered here for a long time before she headed back to the north after escaping King’s Landing. The trees on both sides were planted in the 18th century. They are now the favorite natural scenery of photographers in North Ireland. The end of “Kingsroad” in North Ireland is the “King’s Landing” in the Old City of Dubrovnik. Doesn’t it look exactly like the King’s Landing in our imagination? The sweet smell of herbs, the white bed sheets floating among the houses and the busy streets, everything reminds us of King’s Landing. The red keep is also in Dubrovnik. Dubrovnik is one of the heritage sites of UNESCO making it worth a visit. The themed tour of Game of Thrones only makes it more attractive. There are two geological wonders on the Gozo island – Azure Window and Blue Grotto. The Azure Window is a natural limestone arch formed by sea water corrosion. Its height of 328 feet is perfect for diving lovers. The limestone cave right below is the Blue Grotto. Go through the 262 feet tunnel and you will be welcomed by octopus’ and sea horses. The crew of the show came back for season five after the memorable season one wedding scene. Without the connection with Game of Thrones, these breath-taking places are still worth a visit. 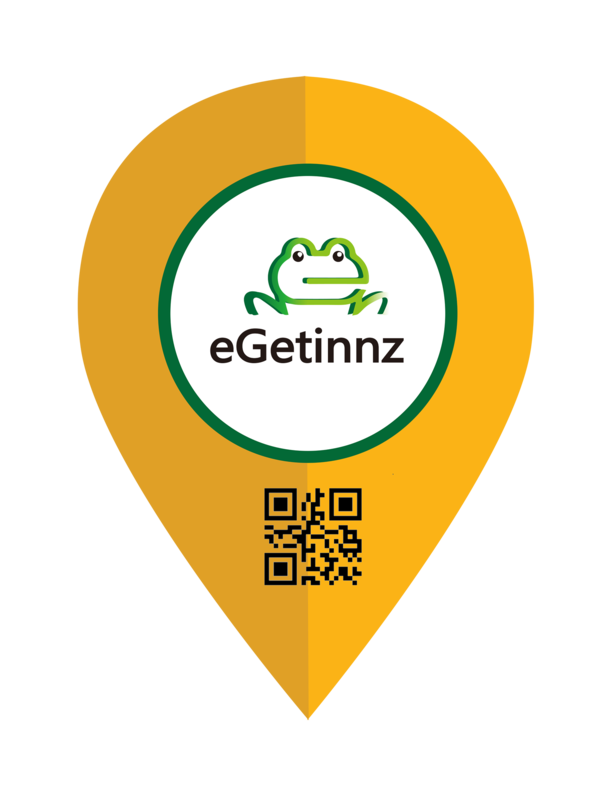 Go to eGetinnz to secure yourself a room now! With a distinct cultural characteristic, New Zealand has a lot to offer to travelers and adventurers who want to have a different experience when it comes to travel. New Zealand is teeming with wildlife and nature that it’s hard not to fall in love with the place. To get you started here is a short list of must try places to visit when you come to New Zealand. A nature lover’s paradise, this national park offers a memorable hike for those who enjoy a good trek. Placed against a backdrop of beautiful scenery, visitors can also enjoy opportunities to skin dive and see various wildlife. Best when visited with family. In line with the picturesque nature scenery of the Abel Tasman National Park, Coromandel features scenic beaches as well as forestry that is sure to excite any nature lover as well as casual tourists. Queenstown offers various activities that will keep anyone busy for a day or two. From white water rafting to other water sports to enjoying the scenery of the lake and mountain sides, Queenstown will be your go to place whenever you visit New Zealand. A beauty to behold, Fiordland National Park offers a variety of awe-inspiring scenery from rain forests to coastal views. Tourists are more than encouraged to visit the Fiords to fully enjoy what New Zealand has to offer. Tongariro National Park has so many things to offer in terms of experiences as well as scenery. From breathtaking volcanoes to scenic lakes and plateaus, Tongariro represents the raw beauty of what New Zealand has to offer. It’s easy to think of a perfect European getaway. You can go backpacking and enjoy the immersive culture of the country side, if not you can visit cultural heritage sites as well as museums but for a more adventurous getaway why not spend your weekend paragliding to enjoy the scenery and vastness that Europe has to offer. Paragliding in Chamonix offers a spectacular view of the French alps as well as Mont Blanc. An added perk to this paragliding tour is that the conditions in the area is perfectly suited for beginners who would want to enjoy the view of the alps and valley. The Julian Alps is an all year round attraction that offers a breathtaking view of the mountainous regions of Slovenia as well as the valleys around it. The weather and wind conditions are perfect for a smooth glide across the alps that offer a front row seat to view the majestic scenery. Boasting one of the biggest sand dunes in Europe, the Dune of Pilat is a favorable paragliding site because of the forgiving weather and wind conditions as well as a very nice view of the ocean. Tuscany’s vast vineyards and wine regions doesn’t only offer complex wine it also serves as a spectacular view during a paragliding session. Make sure to enjoy a glass after your adventure. Take the adventure going to Oludeniz and enjoy the breathtaking view of the crisp blue seas as well the foliage surrounding the beaches of Turkey. TIP! Make sure to contact tour groups and inquire about the rates as well as the schedule for paragliding to make the most out of your trip. Although a bit costly, paragliding is an activity that you wouldn’t want to miss. Let’s kick things off with a short guide for all you adrenaline junkies out there. Here is a short list of the most adrenaline packing, rush-giving, goosebump-inducing… (well you get the point!) bungee jumping sites in the US of A. TIP! Make sure to contact tour groups in advance so that you can be advised regarding the peak times for bungee jumping as well as the rates for the tour groups! Along with a breathtaking view of Arizona, this 467 feet jump is as breathtaking as the surroundings. What can be considered as a moderate jump (scaling at about 180 feet), this bungee tour is great for beginners as well as jumping veterans. We have a more experienced jump with the Rio Grande Bridge in New Mexico. Standing at a whopping 680 feet drop this is reserved for the more adventurous among thrill seekers. Now if you think that you can handle the rush of a 1053 feet jump then book your trip for September and pay the Royal Gorge Suspension Bridge a visit. You need to be registered to be able to jump this bridge but simply watching people take off is enough of a rush for some. A favorite among experienced jumpers, this 365 feet drop not only satisfies the adrenaline cravings of any adventurer but also provides a breath taking scenery of the Pacific Northwest.